I’m sure any parent or childcare worker can understand the struggle of trying to keep kids occupied during the winter. Right after an entire week of winter break, we had a bit of snowfall last week which school for another four days! I was kind of at a loss trying to think things I could do with my six year old pal who was quite thrilled that school was canceled. I thought it might be fun to take him rock climbing. He was sure it was too hard for him and didn’t want to go, but I convinced him to just give it a try. He loves pretending to be Spider Man, so I told him would be climbing walls and that we could pretend the ropes were his webs. That’s when he agreed to go. He kept saying he thought it would be too hard. I'm always telling him "don’t say 'I can’t do it', always try first"...so I said it again. 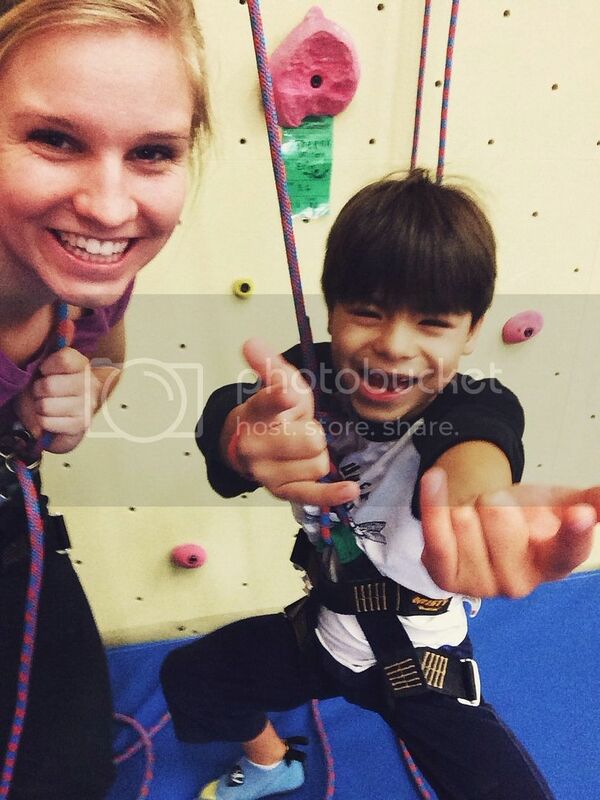 Once we got to the climbing gym, he loved it! After he had done a bit of climbing, he wanted to see me try. 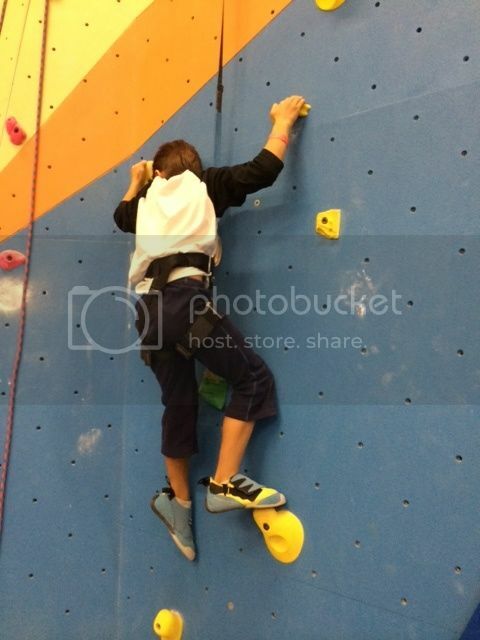 So I did a few of the auto-belay walls, and we took turns climbing. He wast picking the walls he wanted me to climb, and at one point he picked one of the hardest ones. I told him “Oh buddy that one’s too hard for me, I can’t do that one!” He surprised me by responding “We don’t say can’t, we always try first!” He got me! I had to at least try it. 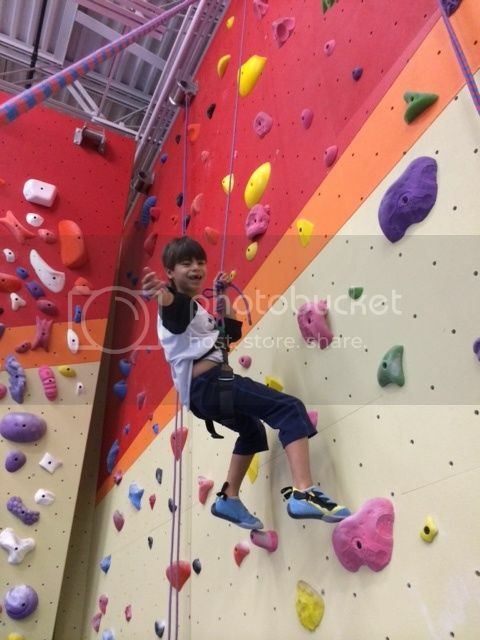 As I struggled to climb the wall, I could hear him down there clapping and saying “good job! You can do this! Don’t give up! Way to go!” When I finished and came down he said “See, I knew you could do it!” It was the sweetest thing. He gave me a taste of my own medicine. Once again, Alex taught me a lesson. He’s watching and listening to me. He was telling me the same things I was telling him while he was climbing. Sometimes I don't realize how much he's listening. I’m teaching him every day whether I realize it or not! Things are hard for kids too. It’s easy to be the adult on the other side thinking “I know what your capable of, and I know you will be fine.” But they don’t see that. They see a challenge and something hard ahead of them and it’s scary. Just like I see challenges ahead of me and I’m not sure of my strength and ability to handle it. Tell someone they're doing a good job. Hearing someone cheer you on is motivating! Who else can I encourage? I’m writing these stories down because I know I’ll forget them. Never underestimate how much a child can teach you!